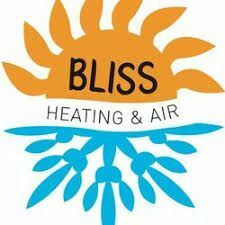 Bliss Heating and Air Conditioning - Description: Heating and cooling company always on time with fas efficient service at fair pricing. Customers come first backed by military, first responder, and veterans discounts. Heating and cooling company providing fast efficient service. Known as honest trustworthy and fair priced. A company out to help the customer first and charge later. No hard sales on equipment that the customer either does mot need or want. Only offering products and services that will benefit the customer either in savings and or satisfaction. We are a heating and air conditioning company in Medford Oregon serving all of Southern Oregon. We carry the Amana line of heating and air products including air conditioners and heat pumps. Located in Colorado Springs CO, Parkey's Heating, Plumbing & Air Conditioning specializes in residential and commercial air conditioning, heating and plumbing service in the Colorado Springs, CO area. Rose Heating ensures fast, reliable, and dependable heating and air conditioning service to the Portland, OR area. Air Conditioning Repair, Air Conditioning Tune-Up, Replacement Filter Supplies, Light Fixture Installation, Home Electrical Safety Inspections, Panel Replacements, Gas Furnace Tune-Up. Eastside Heating & Air Conditioning, Inc. is an experienced residential and commercial HVAC services providing company since 1966 in Portland Oregon. Contact to book a service request.